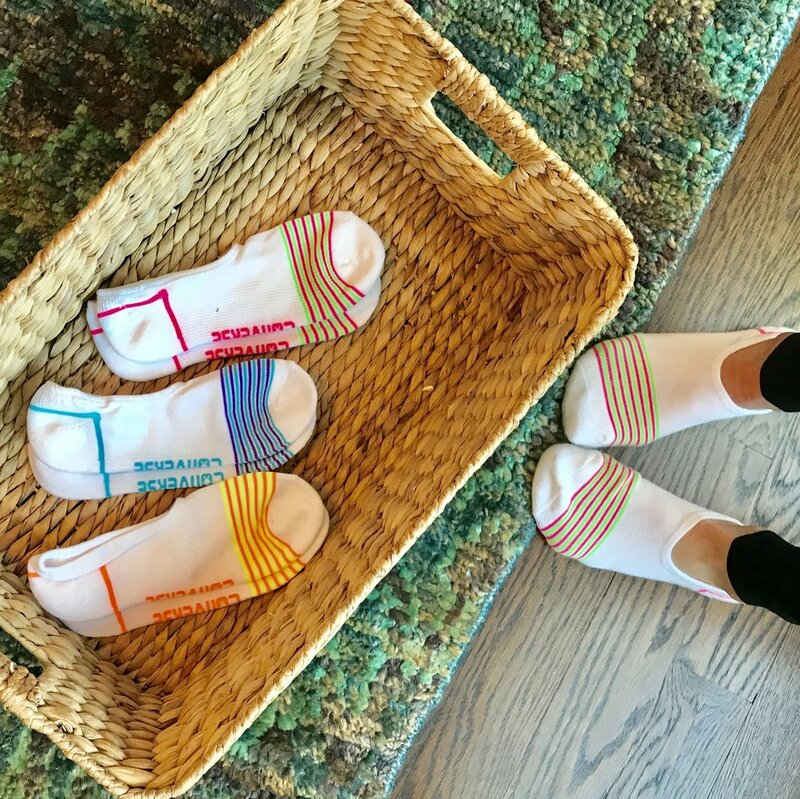 The Socks That Will Change Your Life. I will never buy a pair of socks that are not THESE for the rest of my life. If I let myself overthink the fact that I am sitting at my desk writing a blog post about socks, I would never write it. Shouldn't I be spending my precious peaceful daily writing time pontificating on something more, well...substantial? Maybe. But trust me when I tell you that the next couple of paragraphs may just be the most useful I have written in a long time. Traditional low cut ankle socks have always managed to peek out from atop my sneakers- and just look messy and unflattering. But super low cut "invisible" socks never stay on my feet- all it takes is like 5 steps and said sock is crumpled somewhere under my arch. And the need for the perfect invisible sock is intensified by the proliferation of low cut ankle boots. I live in my Rag & Bone Margot Booties and seeing a sock line cut across the v-dip in the front just ruins the look. Plus, distressed high-tops (like my beloved Golden Goose sneaks) don't look very edgy/cool when you can see a white puffy cotton sock tucked inside. The ONLY- and I repeat ONLY- socks I will buy/own/wear for the rest of my life are THESE. I wear these every time I put sneakers, knee high boots, cowboy boots, spin shoes, ankle booties, rain boots or snow boots on my feet. And you will too. Trust me. Buy the best socks on the planet via Amazon Prime HERE. Birthday Books: How To Capture 365 Days In One Hour, Annually.